The Human Services Coalition was housed in the Women’s Community Bldg. until 2012 when we moved to the Center Ithaca Bldg. Creating Solutions Together, the Human Services Coalition’s self-introduction, could easily have been coined in 1972; both the Tompkins County Planning Department (in its Comprehensive Report of Social Services) and the Social Planning Council, chaired by Ruth Pettengill in 1973, recommended the formation of a group representative of the key human service agencies to meet the need for coordination of planning activities. These innovative thinkers shaped the framework of the Coalition. 1972 to 1973 – Tompkins County Planning Department and the Social Planning Council recommend the creation of a group representative of key human service agencies to meet the need for coordination of planning activities. The Social Planning Council formed an Ad Hoc Revenue Sharing Committee to deal with impending Federal funding cuts and to study possible use of local revenue sharing monies. 1974 – The Social Planning Council convened a group of agency administrators to determine interest in coordinated county-wide planning. The Human Services Planning Committee was formed, composed of representatives of all major human service agencies and all major County human service planning bodies. This committee proposed the Coalition’s functions. The first operating revenues were split between the County, Schools, City of Ithaca; and United Way. 1975 – The Coalition filed Articles of Incorporation. 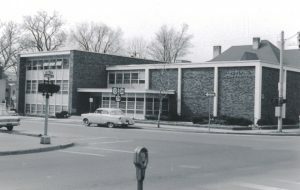 Its location was established in the United Way building. HSC began work on the Review Process, reviewing funding requests for City and County revenue, as well as new United Way needs requests. 1977 – Anne Jones was elected Board Chair. HSC produced Management & Accountability: Guidelines for Human Service Agencies. 1980 – HSC began to review Social Service League funding requests. 1981 – Information and Referral (I&R) moved to the Coalition. 1987 – HSC began administration of the Tompkins County Comprehensive Health Planning Council (HPC). The Coalition began staffing the Homeless Task Force. 1989 – HSC began a series of board workshops on Building and Strengthening Your Board. It also sponsored a salary survey of human service agency staff with United Way. 1992 – Over $29,000 in FEMA (Federal Emergency Management Assistance) funds for emergency food and shelter grants was distributed to seven agencies. 1994 – The Human Services Resource Directory– affectionately known as The Yellow Book— was published for the first time. 1999 – The Appalachian Regional Commission Collaborative Communications Project, in conjunction with HSC and Tompkins County Planning Department, helped 22 agencies with computer hardware and software to meet the needs of the 21st century. $143,000 in funding was spent to upgrade computer capabilities of the participating agencies and provide technical assistance and training (320 agency staff). This award also allowed the Coalition to create a web page which contained a health and human services calendar, and the HSC Listserv (130 subscribers). In addition, the HSC database was completed with over 2,000 individuals and 1,200 organizations. HSC collaborated with Unity House, Tompkins Community Action, and the American Red Cross on a HUD Continuum of Care Homeless application. Although funding was denied, the collaborative partnership continued. 2001 – Unity House, Tompkins Community Action, and the American Red Cross cooperatively wrote a winning HUD CoC application for an award of $330,000. 2002 – The Coalition managed the Compass II project, a community-building tool created by the United Way of America. 2004 – The Executive Director gave presentations to nine municipalities to discuss HSC’s programs and the outcomes of Compass II. As lead agency for the Continuum of Care, the Coalition submitted a successful grant application and received an award of $484,878 for Unity House, Green Street and Tompkins Community Action. 2005 – HSC facilitated the distribution of donated Smith Barney office furniture, valued at $14,660, to 29 local non-profit agencies. 2007- The Coalition completed its first Needs Assessment of 26 local non-profits. HSC also conducted the first workshop in the Board Development Series, Board Basics. In October, Information and Referral began operation as 211 Tompkins. 2008 – HSC adopts a new progressive Strategic Plan. Facilitates Compass II-2.0 community wide needs and asset assessment. 2009 – HSC introduces its newly updated website. The Coalition partnered with the Department of Social Services (lead agency), TCAction, and Catholic Charities to submit the Homeless Prevention and Rapid Re-housing grant application (President Obama signed the American Recovery and Reinvestment Act of 2009, which includes $1.5 billion for Homelessness Prevention Funding). 2010 – The Coalition brought a new collaborative program to Ithaca, Creating Health Places. 2011 – The Coalition began implementing the $50k Falls Prevention grant. The Coalition screened 2,393 participants and scheduled free income tax preparation with Alternatives Federal Credit Union VITA/EIC. 2012 – The Coalition moved from our home of fifteen years at the Women’s Community Building to new offices in Center Ithaca. 211 Tompkins – service to Cortland County became official. 211Tompkins/Cortland began distributing 10,000 laminated pocket-size food and shelter resource cards targeted to Ithaca and 8 rural communities. 2013 – HSC become part of a Statewide network of navigator agencies under the Community Service Society of New York. With CHP as the lead organization over 5,000 people participated in two Streets Alive events. 17 agencies received 1,024,080 in County/City funding through the 2014 Review Process. 2014 – The 211 Tompkins/Cortland Call Center transitioned to an all new iCarol database platform ensuring continued quality service to people in need of help. This year for the first time we offered free on-site consultations to 21 area non-profit boards of directors to help them to carry out their work more effectively. Our educational branch began introducing affinity groups as a way for agency staff to connect and share their experience with one another. The Finance Officers Association of TC (FINZ) and the Chief Executives Association (ExEx) were our first two groups. 2015 – HSC was the first organization in New York to achieve “full recognition” from the Centers for Disease Control and Prevention for its National Diabetes Prevention Program (NDPP). Health Planning Council staff participated in the nine-county regional planning process of the Delivery System Reform Incentive Payment (DSRIP) program. HSC was awarded the Tompkins County PHIP (also called HAPN) subcontract. HSC completed the 9th Salary and Benefits Survey report with 63 respondents. Each participating agency received an individualized report that shows how each organization’s compensation package compares to other agencies of similar size. 2016 – 211 Tompkins/Cortland scheduled appointments for free medical and dental procedures for Healthy Cortland, an Innovative Readiness Training program sponsored by the Department of Defense, in summer 2016. The free event saw 1807 patients with a total of 7,613 procedures performed including medical, dental and veterinary services with no residency, income or insurance requirements. 211 handled 1,050 calls for this event which saved $851,426 for the community. Our Health Planning Council program was awarded funding from the Women’s Fund of the Community Foundation for Improving Women’s Health through Diabetes Prevention. 2017 – The Continuum of Care (CoC) was awarded $50,000 in Tompkins County funding to impact homelessness. Awards went to Catholic Charities ($27,000) for rental supports, OAR ($18,000) for Endeavor House, and the Advocacy Center ($5,000) to help house those in the shelter. Coordinated Assessment launched in January 2017. The team trained workers in 13 agencies on using the new tool to combat homelessness. Since its inception, there have been 213 total referrals with 108 people successfully housed. At the end of 2017 HSC launched the Community Health Outreach Program to support Medicaid members in Tompkins County. By addressing social determinants of health such as transportation, nutrition, and housing, our specialists can help adults and their families improve their health status and use their benefits more effectively. The Health Planning Councils’s Long Term Care Committee brought together discharge planners and stakeholders to develop solutions for smoother transitions from hospital to home and to increase awareness of community supports. As part of the 13-county HealthlinkNY Community Network population health improvement program, HSC helped develop a workplace mental health and wellness toolkit for employers. This toolkit will help workplaces better support the mental health needs of their employees. See the toolkit and sign up your workplace to use it at www.workplacewellnessny.org. HSC launched an all new website using the WordPress platform. 2018 – 211 Tompkins/Cortland began accepting requests for help by text message over the summer of 2018! To contact 2-1-1 by text message, simply text your zip code to 898211 (TXT211) during business hours (M-F, 9am – 4pm). Medicaid beneficiaries to help with non-medical transportation needs that have a health benefit. This pilot project will run through 2019. Our Continuum of Care was chosen to be one of five communities across the country to participate in the 100-Day Challenge on youth homelessness in 2019. The Health Planning Council co-coordinated the event, “Food is at the Heart of Home Care: A Home Health Aide Celebration and Education Event” to heighten awareness about the value and shortage of home health aides while providing education on nutrition needs. This was a collaborative effort of Long Term Care Committee members from multiple agencies and community volunteers.